Data storage is their cheap price when using CD or DVD. 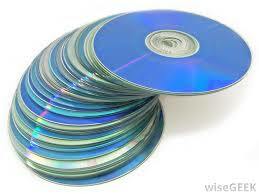 Mindtech Solutions » Others » Are CDs And DVDs Still Good For Data Storage? Are CDs And DVDs Still Good For Data Storage? Both CDs and DVDs offer simple yet safe way for data storage important data without any expensive investments. Let’s take a closer look at how they may be used, and which safety issues may arise when using these optical storage devices for backup. Once so popular CD (Compact Disc) and its writable versions CD-R and CD-RW have been available for quite a while. First CD-R recorder was produced at the end of the eighties, first Yamaha CD-R recorder cost about $35,000. Technology becomes cheaper over time and, now, the same recorder costs about $20. Although DVD (Digital Versatile Disc) came into use a little bit later, it still hasn’t completely replaced CDs. There are even more advanced technologies available today, like higher definition DVDs, called Blu-Ray, but they are aimed at quite specific use cases and will probably not become mainstream, since newer technologies are taking over. One of the benefits of using either CD or DVD for data storage is their cheap price. When buying CDs or DVDs in bulk, one DVD-RW disc might cost only 40–50 cents. Discs that are not rewritable are about three times cheaper. It means that the data storage of one Gb of data will cost you only 3 cents (DVDs store 4.7 Gb of data). As history has shown, the cost of data storage can only get cheaper. To choose the right data storage medium for your data, you also need to consider a particular medium’s reliability. What are the risks related to CDs and DVDs? They are popular among users because if a CD is accidentally dropped, it usually works fine afterwards, which can not be said about external hard drives. This fact is especially true if CDs are data storage in protective case. Optical drives are technically quite different from hard drives and can not be damaged by strong magnetic fields. Some sources mention damages caused by direct sunlight and high temperature. Even more problematic is that CDs are extremely vulnerable to scratches. One deep scratch may damage a disk to the extent that it becomes useless. Keeping disks in protective sleeves or in strong boxes is the safest practice. Many experts have expressed their concern about optical disks’ long-term reliability. Sure, they haven’t been around more than a few decades but in our experience CDs with fifteen-year-old data on them are still working pretty well. The capacity of DVDs and CDs might not be the best for data storage a massive number of raw image files and movies, but they are still worth considering if you need to make backups of your important everyday files and folders. Keep your discs protected from scratches, avoid direct sunlight, and you can definitely use your valuable data for decades from now. Gabriel Waldron is an experienced writer on online data storage services. His positively loaded stories entertain and educate web hosting management people, industrial web design professionals, UK web hosting consultants and, also, wider public interested about web hosting. Tagged backing, backup, data storage, DVDs, storage devices, technology. Bookmark the permalink.